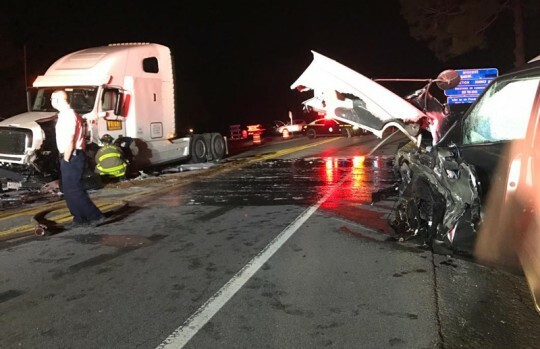 Three people were in injured a crash involving a semi-truck early Monday morning on Nine Mile Road just west of Pine Forest Road. The Florida Highway Patrol said 41-year old Aisha Westbrooks of Pensacola was westbound on Nine Mile Road in a 2017 Infiniti when she crossed the center line and collided head-on with a semi truck driven by 60-year old William Goodwin of Pensacola. 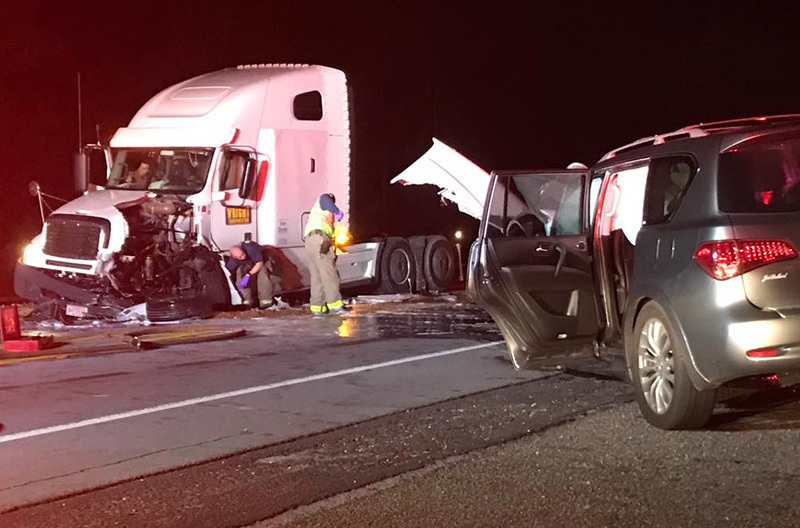 Westbrooks, her 4-year old passenger, and Goodwin were all transported with minor injuries to Sacred Heart Hospital by Escambia County EMS following the 12:45 a.m. accident. The truck driver’s dog suffered no apparent injuries and was picked up by family members. Nine Mile Road was closed until 5:48 a.m. due to the crash and a fuel spill that covered a large area. Westbrooks was cited for failure to drive in a single lane. I do so much hope someone takes the dog to the vet to be checked out. They cannot talk, and they do not have hands to sooth their own ouchies. 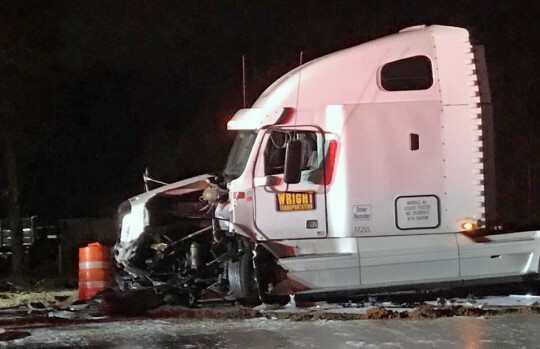 It seems like there would be no contest between a semi and van.Just look at the damage to the truck! Everyone including the dog needs checked out. 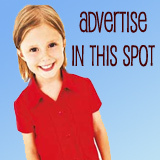 A family pet seemed unhurt recently while riding in a car while in a accident. The dog died several days later. Prayers to all of those in the accident for a quick recovery. It looks very bad.